A nation can survive its fools, and even the ambitious. But it cannot survive treason from within. An enemy at the gates is less formidable, for he is known and carries his banner openly. But the traitor moves amongst those within the gate freely, his sly whispers rustling through all the alleys, heard in the very halls of government itself: Marcus Tullius Cicero, speaking to the Roman Senate, as recorded by Sallust in The Catiline War (c 40BC). THE hardest thing for any organisation and especially the Conservative party to understand is the possibility of betrayal of the country by any of its members, least of all its leader. In the case of Philby, Maclean, Burgess, Cairncross and Blunt, the hardest part was convincing the Security Services themselves. The reasons sometimes given by traitors is that they believed their actions were for the greater good of Her Majesty’s subjects. Those spies all believed that Marxism-Leninism was the best available political system, and especially the best defence against the rise of fascism. Does anyone really know what Mrs May believes? The day after Mrs May was elected as leader of the Conservative party I commented on Facebook, ‘That’s the end of Brexit.’ On grounds of incompetence. I did not blame Mrs May for the ensuing errors. She was clearly unsuited to the role and out of her depth. I first advanced my hypothesis of betrayal in TCW in January this year. The turning point from incompetence to betrayal, I contended, came in 2017 after the flurry of EU papers on its future leading from the Five Presidents’ Report of June 2015 and culminated in Mrs May’s committing UK to the European Project in her speech in Florence that September. This was her conversion, not to Marxism-Leninism but to technocratic supra-national governance, the underlying philosophy of the EU. Mrs May returned from Florence and established her back channel to Brussels through Olly Robbins in order to develop her Chequers proposal (dumped on the Cabinet in July 2018) behind the backs of her ministers. At the other end of this channel were Michel Barnier and the highly competent and intelligent Martin Selmayr and Sabine Weyand, the EU’s own strategist. Frau Merkel is herself implicated. No events since then have caused me a shadow of doubt. For example, Mrs May made no more than a pretence of attempting to negotiate on the basis of the Malthouse Compromise. She really is intent upon keeping the UK in the EU either through her Withdrawal (Vassalage-Accession) Agreement (WA) as Plan A or her Plan B: delay Brexit leading to revocation of the UK’s notice of withdrawal under Article 50. In summary, Plan A keeps the UK ‘pre-qualified’ during a transition period, so that when the future relationship is negotiated in the context of the new treaties intended to replace the Lisbon Treaties by 2025, there would be minimal change required for the UK just to slide right in. The WA even anticipates the future changes in the EU by committing UK’s armed forces to EU political control and participation in EU defence organisations. For example, Article 127 of the Withdrawal Agreement specifically provides for UK to join the EU’s Permanent European Structured Cooperation Organisation (PESCO). No doubt British taxpayers’ money would flow generously into the European Defence Fund as a prerequisite. Germany still won’t have to pay more for its defence. What then is Plan B? It is not so much a plan as a strategy. Parliament is majority Remain by a considerable margin and many Remainers have become entrenched in their positions. My hypothesis is that Mrs May will allow them to pretend to be in charge by herself sponsoring their amendments to motions and similar tactics and by allowing free rein where they would of their own course move in her direction. She will nudge Remainers so that they get what they want once she has no alternative but to drop the subterfuge of her Plan A. She will reluctantly accept the will of Parliament – as a true democrat should. Any accusations of betrayal or incompetence will be deflected on to Remainer MPs – it has already begun. It wasn’t me, guv! At the time of writing we await Mrs May’s response to the decision of the European Council on extending the Article 50 negotiating period. So, to pass her deal through Parliament Mrs May must pass it through both Houses by 29 March. She expects to use a Statutory Instrument. Working back from ‘Exit Day’ on 29 March, the Hansard Society estimates the latest date an SI could be laid before parliament is today, 25 March. The acid test of any hypothesis is against reality. If I am right, events will unfold more or less on the following lines. Between today and Friday Mrs May’s WA will be either withdrawn, not admitted by Speaker Bercow, rejected in a vote, or, heaven forfend, passed. Obviously, in the unlikely event that it is passed, Plan A is implemented and the UK is set on vassalage and accession, whoever might succeed her. Mrs May wins and probably remains in office until just before the June 2022 election when she will be elevated to the peerage. In all other cases she has until 12 April ‘to indicate a way forward’ to the European Council which, I would think, expects a fairly detailed proposal to have been drafted and endorsed by Parliament before submission to the Council. I remain mystified as to why Remainers are so opposed to May’s WA given that it lays a clear path to accession to the new EU treaties by 2025. Obviously no MP favouring it can say that, or is it not favoured because the betrayal is so obvious that they would lose their seats in short order? If her deal is not passed this week we expect to move to the game of ‘indicative votes’, control of which she is attempting to wrest from Parliament. Whoever controls the game has a distinct advantage over the other players and there are several factions each with strongly held positions. Although her Plan A is her first choice, putting meaningful vote 3 (MV3) first risks losing control because it is amendable and MPs, knowing other options would follow, would be more likely to reject it. Therefore she might actually save it until other options are exhausted. Furthermore, the game of indicative votes will most probably lead to confusion and indecision as it did in 2003 when MPs were offered seven choices on reforming the House of Lords. In that case the final position would be for the Government, that is, Mrs May, to decide. One reason for this is that there isn’t a valid method of group decision-making to select one from multiple choices available to parliament which would vote for each in sequence. Only two of the likely alternatives to her WA are clearly defined: No Deal and revoking Article 50. The others that have been mooted so far are necessarily vague, not least because options such as a Customs Union or joining the EEA depend on negotiations yet to take place with the EU and third parties. Mrs May may be thinking of using the debates on these to persuade MPs to revert to her WA if she reserves MV3 until after the ‘indicative votes’ game. But the timetable pressure is such that she must move MV3 by this Friday, 29 March to gain an extension to 22 May. One cannot discount anything so perhaps there is some way nobody has thought of whereby UK could implement its side of the WA on 30 March leaving the EU to paper over the cracks until 12 April or to change its mind and grant a longer extension, which it could agree by 27 emails. 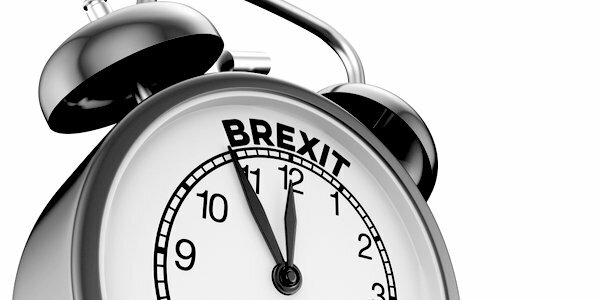 Another timetable pressure arises from the need to make a decision on the UK’s participation in the EU elections to be held from 23 to 25 May. The rules are explained here. In addition to the EU Parliament (re-allocation of seats completed in June 2018), the UK would also be entitled to various appointments in all other EU institutions. The period of regulation already commenced on 23 January. How long can Mrs May delay before there is a serious legal challenge, which if successful risks the validity of the entire process? Recognition of this, assuming our MPs and ministers are familiar with the rules for European elections, could result in a vote for revocation of Article 50 as the only feasible way forward that can be adopted by 12 April! Against this, many MPs would favour above all postponing electoral revenge as long as possible. Parliament would vote on the options one at a time in sequence. But the rationale for each person’s votes depends on what alternatives remain available. That gives both May and Bercow a high degree of control over the outcome. Neither is trusted. For a valid outcome Parliament would at least have to adopt a preferential voting system. But I cannot see them agreeing on which of the many versions of such a system would be best any time soon. Mrs May’s Project Fear, coupled with preparations for a WTO exit being inadequate, late or clandestine, ensures rejection of the No Deal option, especially if put to a vote first. The vote on the revocation option would be held near to last, because no MP would choose it as a first option. 4. A standard free-trade agreement. With regard to the first option, it is unlikely that MPs would agree referendum questions among themselves and with the Electoral Commission in the time available. Any option that means a realistic chance of a clean Brexit would be opposed by the Remain majority. Options 2 and 3 would require an agreement in principle at the very least with EFTA and the non-EU members of the EEA before they could be sufficiently defined for a sensible vote to be taken. Option 4 has already been considered and rejected by the Government using Mrs May’s favourite weapon of the Irish Border Problem to dismiss out of hand all options other than her WA. Since it also means Brexit, most Remainers would still not back it in preference to options 2 and 3. So overall the most likely outcome would be options 1, 2 and 3 being most favoured by Parliament and the voting margins between them being small. Would they be asked to vote again and again from shorter and shorter lists until only one option is left or would the Government take control and decide? Mrs May would certainly prefer to take the decision herself and she would mould the necessarily woolly definition of the winning option(s) to suit her purposes. Her preference, if MV3 on her WA fails, would be a long delay or revocation. Revocation would be framed in terms of timetabling necessity and complexity of alternatives to her rejected deal. She may also keep it alive as a threat to Brexiteers – which she is already doing. However Parliament is unlikely to vote revocation into the top three. So, in my view, Mrs May would win the game of indicative votes under cover of having to bow, as a true democrat, to the will of the Remain Parliament. UK would remain in the EU indefinitely. We would have lost all credibility as a reliable member and the EU would seek vengeance on UK from within the EU. The Tories would leave Mrs May in office certainly until November and more likely until the June 2022 general election for fear of the wrath of the electorate. If Brexit is seen as a lost cause, there would be no point. If Brexit is not seen as a lost cause, either or both Labour and Conservatives would risk losing support to a new Brexit party. What can and should Leave MPs do in addition to what they have been doing? The immediate question is whether UK can possibly leave on WTO terms on Friday, 29 March. The evidence is that it can. But this requires Leave MPs to use every trick of parliamentary procedure to force this out into the open, in addition to forceful advocacy for it in Parliament. For example, why are they not making more of the preparations for a WTO Brexit that both the UK Government and the EU have made? The Irish Dail passed its ‘No Deal’ legislation without fuss or drama. It was enacted on 19 March 2019 and includes, for example, continuation of the Common Travel Area and continuing access to health care by British citizens. Why can’t UK do likewise before 12 April? Brexiteers have been too slack in not pressing both the Government and Remainer MPs on this. It is not enough to argue on the basis of modelling and opinion that WTO terms are a booming opportunity for UK. Brexiteers must demand, using motions if appropriate, that the government does more and fully discloses what it and the EU have done. Hard evidence of practical and substantive preparations by UK and the EU must be hurled at every Remainer MP and minister. Time to stop being nice and to buck up. 12) Other transfers of competencies from member states to the EU, i.e. further losses of sovereignty. All the above are vital reasons for leaving the EU by 29 March and in my opinion they have not been strongly advanced by Leave advocates. Because of that Remain advocates have never really had to explain why these developments should be welcomed. Explanations must be demanded in Parliament this week and next. The war for independence will be lost if Mrs May wins this battle by Plan A and probably lost if by Plan B. In the latter case Leavers must at least ensure the next stages are shaped to enable another decisive battle. Above all Leave MPs must keep Brexit alive. The Conservative party has no other hope of avoiding being wiped out in the next general election even as late as June 2022. Labour has many demons but Brexit is certainly one of them. In essence the voters and Conservative party members remain utterly irrelevant at least until 2022 unless either Labour or Conservatives decide to risk an early election. If UK is ever to become an independent sovereign nation the old parties must be left behind and a new party of independence must be formed, one that can command support across all areas of government policy on the basis of independence and sovereignty. If it is anything less than a government in waiting it will not defeat the Westminster establishment of supra-nationalists. That is the true war in which Brexit is just the first battle: sovereign national democracy versus technocratic supra-nationalism. Mrs May believes the latter is best for UK but cannot say so. Peter Gardner is a former Royal Navy officer and management consultant working in defence procurement and policy, intelligence and security.